This is a basic complex, centrally located close to shopping. This is a 2 bedroom, 2 bathroom condo, upper level. There is no covered parking or garages but there is ample parking for 2 cars per unit. This particular condo has new living room furnishings and HDTV. It is a lower unit. While the condo does not have a washer/dryer, there are laundry facilities in the complex. Seventh night free for most dates! Please ask! My spouse and I spent one night in this place that was nominally $108 per night, but after VRBO fees, it cost us $345. Very overpriced. I encourage VRBO to advertise the actual cost, not this substantially lowball teaser price. The unit is old and could use some updating. Overall it was clean but the carpets were stained so we were a little surprised that we were told to remove our shoes when entering the unit. The kitchen supplies were basic items with odds and ends dishes and glassware. The bed and bath linens could also use some updating. The internet connection was excellent! For the little amount of time that we were in the unit, it was just fine for us. We stayed here over the weekend for our skiing trip. Property is clean and comfortable. There is internet connection in the house. The grocery supermarket Raley's is just 3 min drive from this property. bad management, not responsible and not friendly staff left uneasy impression for this place. Went to stay for the President Day weekend. We arrived late and were instructed to pick up the key from a locked security box. When I arrived the box, the phone hang on the wall that I suppose to use to call to get the code for security box was broken. I then have to get to the car and use my own phone. 3 days stay, no cleaning, no shampoo suplies. On the day we left, We forgot kids basketball hoop on the door, the kind you can hang on the door. I called staff right away and ask them to go check. Staff told me they will and call back to me. After a week of waiting, no one called. I called back again, they said the cleaning people did not bring anything back. If they go to the room and check,. .they need charge me $30. If they found it, mail to me charge me another $30. That is a rip off, unresponsible and lying. This is a bad place and we would avoid this place in future stay. 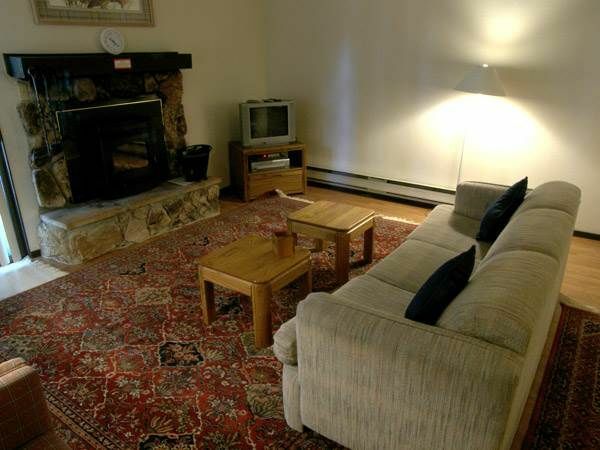 It is located right behind the ski rental store, Village Ski Loft and a few blocks from Diamond Peak Ski Resort. Convenient stores, gas station, and Starbucks are located within two blocks. I am not sure about other negative comments about the rental office, but they were very kind and informative. I will come back and rent again this unit if I come to the area next time. By the way, the unit was clean and ready.